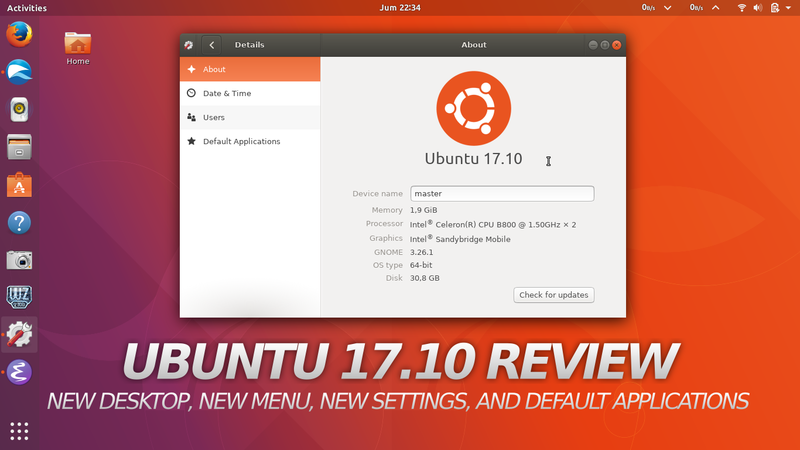 GNU/Linux Review: Ubuntu 17.10 "Artful Aardvark"
This is a review for Ubuntu 17.10 "Artful Aardvark" that was released at 19 October 2017 which features the new GNOME Desktop, new user interface, with GNOME 3.26 applications, and new wallpapers. The freshly installed system runs at ±1GiB of RAM and is slower on old machine. This review contains links for more information such as Artful download links, installation guide, and also newbie's guide. I hope you find this review helpful! This is a review of Ubuntu 17.10. If you're looking for another article for 17.10, read Installation Guide, Newbie's Guide, and Recommended Applications. If you're wondering where Unity is now, please see Yunit. 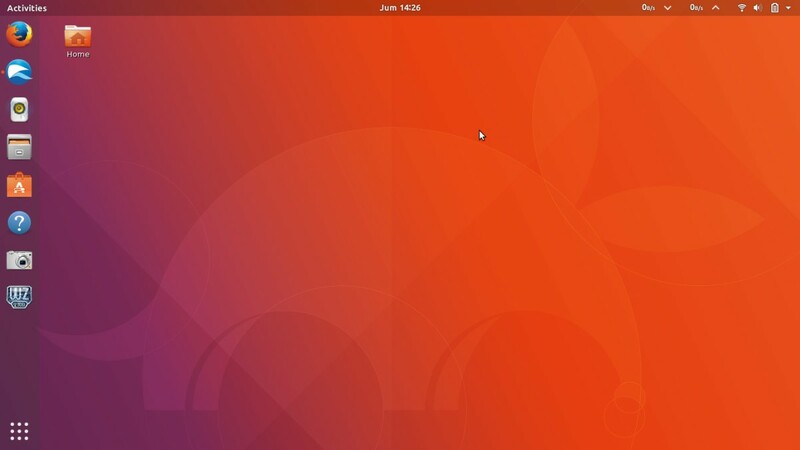 Ubuntu officially switched to GNOME Desktop replacing the previously Unity Desktop. Here's the whole user interface. You'll like it: the control buttons are now located at top-right again. When you maximize any window, you find no Global Menu anymore, and the control buttons are still at top-right. The vertical panel, previously called "Launcher" and now called "Dock", is still there. But the menu button now at bottom. When you place new app there, you right-click at the icon and select "Add to Favorites". Read more about reducing RAM usage for Ubuntu 17.10. Artful uses ±1GiB of RAM at first login after freshly installed. No real difference in number between both Wayland (default) and Xorg (legacy) sessions. This is huge but still better than the alpha and beta pre-release versions, which could uses upto 1.3GiB. Artful got many new wallpapers from the FCS 17.10 contest. See also the winners announcement here. Personally, my favorite is More Kamikochi by mendhak. Thank you! 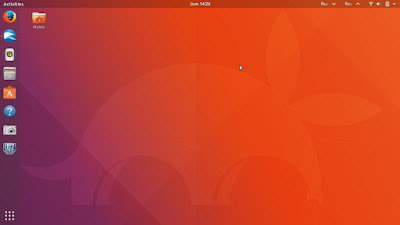 For you using Unity Desktop (the previous interface of Ubuntu) for a long time, the new desktop uses the same full-screen styled menu, but without categories buttons and you cannot minimize it. When you search, you can find applications. But not only that, you can find another things such as touchpad settings and installable applications, because, the menu is integrated with GNOME. Your well-known apps are connected to the search, such as Calculator and Ubuntu Software, so searching in the search will resulting from them as well. Converting units are instant now! Try to convert temperature from Celcius to Fahrenheit for example. Converting temperature is very easy! It's now called "Settings" with greatly changed interface. It's organized in top-down list now rather than icons like before. With Settings, you can set, for example repositioning vertical panel (it's called Dock now) as bottom panel, minimizing icons size, adding VPN connection, and many more. Ubuntu, Settings, and panel at bottom! Good bye 32bit. 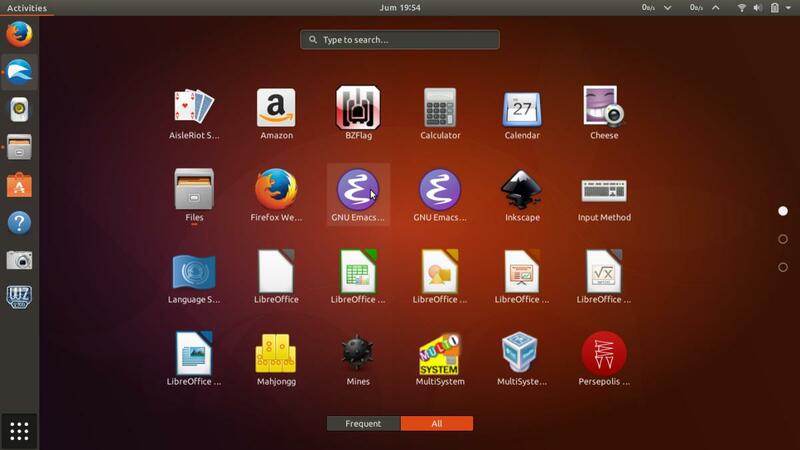 Now Ubuntu Desktop not providing 32bit anymore and is only available in 64bit ISO image. 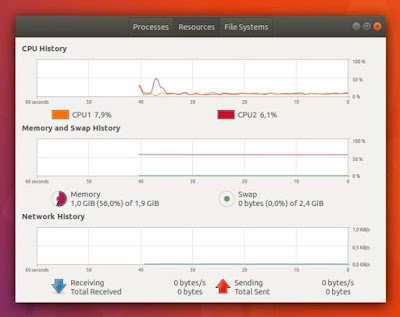 This means if you use 32bit computers you cannot run Ubuntu 17.10. If you see the server download page, you can only see desktop-amd64 and no more desktop-i386. This decision follows another distros that had dropped 32bit such as elementary OS and deepin (and waiting for Arch and Manjaro in next November). 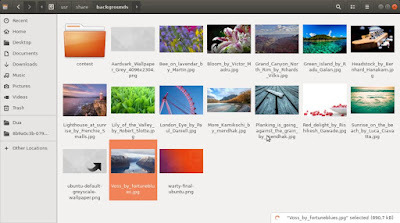 But please note, all Ubuntu Flavors (Kubuntu, Xubuntu, etc.) still provide 32bit supports. I recommend you to use a Flavor instead if you quickly need 32bit 17.10. As Ubuntu is free software, despite the original developer discontinued 32bit support, you (the user) still can ask (or pay) another developers to provide 32bit Ubuntu by building from source code. Artful brings the latest GNOME 3.26 suite, LibreOffice, and Firefox plus many more. Install time: approx. 20 min.